JACCC's visual and cultural arts feature timely and timeless work and empower the viewer to feel and experience Japan, the Japanese American and Asian American community and culture more fully. 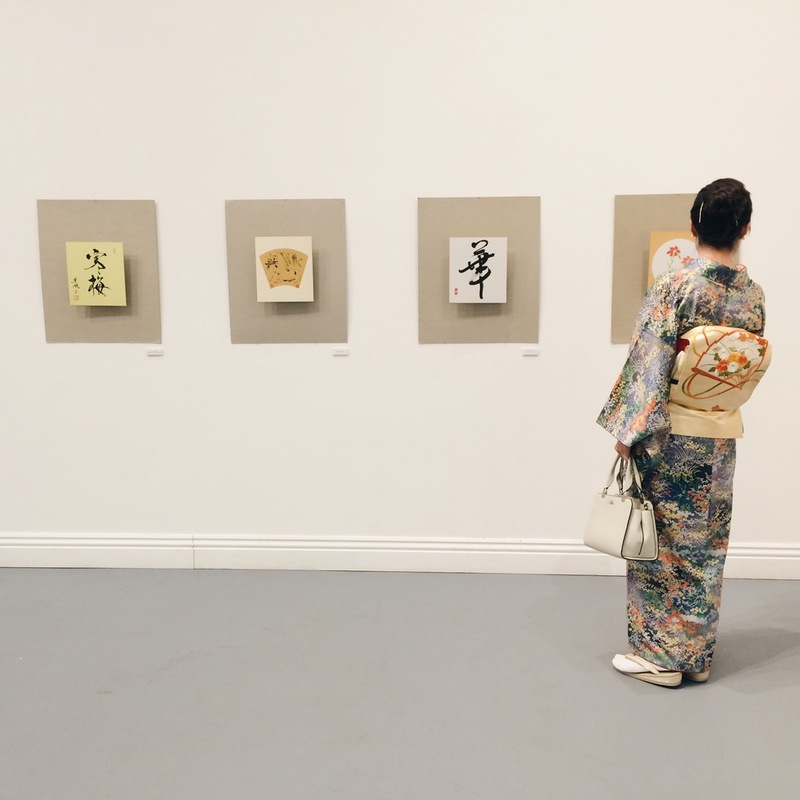 Through an active and engaging schedule of temporary exhibitions and cultural events each year, JACCC showcases established and emerging artists from Japan and multi-ethnic communities of Los Angeles and beyond while celebrating the intersection between fine art, Japanese traditional and popular cultures. A selection of Toyo Miyatake’s pre-war photography on life in the Manzanar camp – some captured secretly before being caught and some after he was eventually allowed by the authorities to serve as camp photographer. In conjunction with the 36th Annual Kotohajime program, JACCC presents our Sado (Tea), Kado (Flower), and Shodo (Calligraphy) series with our First Cultural Exhibition of the Ikebana Teachers Association of Southern California. The Ikenobo, Ohara, and Sogetsu Ikebana schools will be creating a large flower arrangement in the theme of the 2019 New Year. Sogetsu Ikebana Los Angeles Branch invites you to its annual flower arrangement exhibition. Sogetsu School was founded by the late headmaster Sofu Teshigahara in 1927 in Japan. Teshigahara developed a school of ikebana that is deeply rooted in Japanese tradition while embracing the evolution of the modern age. Traditional Japanese washi meets the architectural thinking of students at Southern California Institute of Architecture (SCI-ARC). Professor Alexis Rochas encourages students to explore the infinite possibilities of washi in the context of the world of architecture. This exhibition blends together the 1,000 year old tradition of washi and higher technology. This exhibition is made possible in part by Hiromi Paper, Inc. The Doizaki Gallery is brought to life with the 2018 exhibition of Japanese floral designs by Ikenobo School, the oldest school of ikebana. Echizen in Fukui Prefecture is known for its 1,500 year history of washi, papermaking. Twenty artisans from the region will present their handmade paper installations, both functional and decorative, including an exquisite paper teahouse. Supported in part by Hiromi Paper, Inc. and Fukui Washi Kōgyō Kyōdo Kumiai. Kōdō: Way of Fragrance is the art of appreciating Japanese incense, and involves using incense within the tearoom. Rev. Fukushima from Soto Zen, Choko-ji temple in Saitama prefecture will conduct this cultural workshop. Following a month-long artist exchange residency, artist Jonathan Takahashi will begin to unpack through conversation the projects proposed and completed in reflection of his experience abroad in Beppu, Japan. Toyo: Behind the Glass Eye juxtaposes Toyo Miyatake’s pre-war studio work with his photographs of life in the Manzanar incarceration camp—some captured secretly before being caught and some after he was eventually allowed by the authorities to serve as camp photographer. JACCC celebrates its 20th Annual Shikishi Exhibition. Diverse voices of the community from across the globe and of all ages come together to create shikishi cards featuring the theme of Hatsu-Zora (First Sky) and Year of the Dog. Learn more about submissions by clicking here. An exhibition of over 100 works of floral art including arrangements done by 45th generation Headmaster Sen’ei Ikenobo, acclaimed professors, and special guests from Japan. Also, join us for a demonstration by headmaster Ikenobo Sen'ei on Saturday, September 23 at 2 PM in the Aratani Theatre. For more details and tickets, click here. Beikoku Shodo Kenkyu-kai, an art of calligraphy, led by Hiroko Ikuta. The exhibition showcases 30 works, each reflecting the artists' individual interpretation of calligraphy with the flow of brush and ink. Sogetsu Ikebana Los Angeles Branch invites you to their annual flower arrangement exhibition. Sogetsu School was founded by the late headmaster Sofu Teshigahara in 1927 in Japan. Teshigahara developed a school of ikebana that was deeply rooted in Japanese tradition, yet embraced the evolving requirements of the modern age. JACCC presents the First Annual Sado, Kado, Shodo Cultural Exhibition of the three Japanese traditional arts—flower arrangement, calligraphy, and tea ceremony - featuring Omotesenke, Urasenke, Edo Senke, Ogasawara Sencha School, Sogetsu School, and Ohara School of Ikebana. This free and open to the public exhibition will feature an installation combining the art of ikebana and calligraphy. In addition, each Sunday at 1 PM, Japanese tea ceremony will be held in conjunction with the exhibition. Japanese tea ceremony, also called the Way of Tea, is a Japanese cultural activity involving the ceremonial preparation and presentation of matcha, powdered green tea. Major tea schools Omotesenke, Urasenke, Edo Senke, and Ogasawara Sencha School will be performing their Art of Tea. Bruce Yonemoto’s new body of work, a multi-channel media installation refreshes the original political content of Enka songs - traditional-style Japanese popular ballads - by enlisting the help of artists to write contemporary lyrics to recently popular Enka melodies. In addition to Yonemoto’s installation, an installation of vintage Enka album covers will be on display. Artists participating include Kaz Oshiro, Koki Tanaka, Taro Hattori, among others. Enka! is made possible in part by a grant from the Pasadena Art Alliance. Learn more about Bruce Yonemoto's work here. JACCC presents its 19th Annual Shikishi Exhibition with artwork based on the theme of Year of the Rooster. In celebration of the New Year, JACCC welcomes community members from across the globe and of all ages to participate in this unique exhibition by contributing artwork to express hope for 2017. Join us for an opening reception following our signature New Year celebration in the Aratani Theatre, Kotohajime, on Sunday, January 8. Through his photographs, Gil Garcetti, explores his observation that Japanese are unique in their reverence, respect, and need for beauty. The question he raises is why? His ultimate question is, “What can we, an infant nation compared to Japan, learn from this ancient people and culture that might make us a tiny bit better as a people or nation." This extraordinary exhibition was envisioned by world-renowned collectors, Etsuko and Joe Price. It features silk scroll paintings depicting the everyday life of the Edo period (1615–1868) and divine images from the Buddhist world with an ikebana flower arrangement installation by three ikebana schools – Ikenobo, Ohara-Ryu, and Sogetsu School. JACCC is proud to be a long-time partner of the Nisei Week Japanese Festival. Nisei Week is an annual festival celebrating Japanese and Japanese American culture in Little Tokyo, Los Angeles. Nisei means 2nd generation in Japanese, describing the first American born Japanese, a group that started the festival in 1934. This exhibition focuses on exceptional American Women Printmakers: Tomie Arai, June August, Kimiko Miyoshi, and Seiko Tachibana. Their work represents the diverse printmaking from traditional stylistic approaches to contemporary installations. In conjunction with this exhibition, JACCC presents a special guest artist, Hisako Terasaki and her prints documenting decades of world travel. This Ikebana display features three distinct flower schools from the Los Angeles Ikebana chapter - Ikenobo, Sogetsu, and Ohara-Ryu. Organized in memory of the victims of the Tohoku Earthquake in 2011. This year's Hinamatsuri (Girl's Day) features hands-on crafts, Japanese flower arrangement with Haruko Takeichi (Sogetsu school) and hinaningyo (traditional Girl's Day doll) display. Haruko Takeichi (Sogetsu Teachers Association RIGI) and Group present their 25th Anniversary Exhibition: Contemporary Ikebana. JACCC presents its 18th Annual Shikishi Exhibition with artwork submitted by the community based on the theme Hatsu-Yama (First Mountain) and/or the Year of the Monkey. Shikishi paper-boards have been used in Japan since the 12th century for traditional painting or to inscribe poetry. Today, shikishi are given as a gift to mark a memorable or special occasion. In 1998, JACCC fused traditional and contemporary notions of the shikishi by asking over 500 people to celebrate the New Year by expressing themselves using the shikishi board. Participants included celebrities, local personalities, politicians, artists, priests, children, writers, and community members. The outcome was an intriguing and amazingly eclectic exhibit of shikishi art. Sogetsu Ikebana connects plants with people, and people with people, bringing peace of mind and creating happiness. Professional photographers from Japan, Takashi Nakada and Shinji Imoto, and from Brazil, Kaoru Higuchi gathered at Kimura Photomart in 1977 to form the U.S. 101 Photo Club. Their goal was to create images that would be useful to the Little Tokyo and Nikkei communities and preserve legacies for all time. The club was founded October 1, 1979 (10-1) and became the U.S. 101Photo Club. Since its inception, the club has had annual photo exhibitions and will be celebrating its 36th anniversary this year. The club has 15 members, and each member constantly strives to polish technique and understanding of the art of photography. As part of its vision, in 1992 U.S. 101 Photo Club began annual photo sessions with the Nisei Week Queen and Court, and soon after, the Pioneer awardee portraits for the Nisei Week Japanese Festival. Beikoku Shodo Kenkyu-kai, an art of calligraphy, headed by Hiroko Ikuta, celebrates its 50th anniversary with an exhibition that reflects each individual's interpretation of calligraphy with the flow of the brush and ink. Experience the Etsuko and Joe Price Collection, a world-renowned collection of Edo Period Japanese paintings. 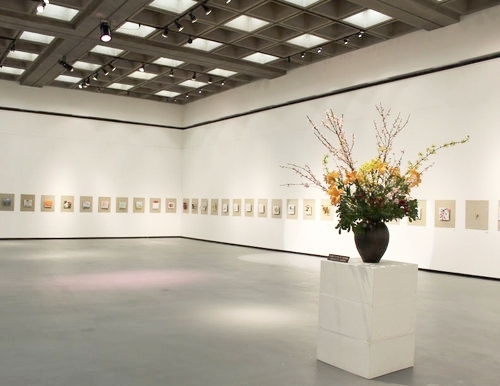 This extraordinary exhibition was envisioned by Joe and Etsuko Price and features the masterpieces of the late Edo period painters Sakai Hoitsu (1761-1828) and Suzuki Shuitsu (1823-1889), with an Ikebana Flower Arrangement installation from three Ikebana schools affiliated with JACCC – Ikenobo, Ohara-Ryu, and Sogetsu School. Joe and Estuko Price exhibited the paintings of Hoitsu and Shuitsu in Japan after the Great East Japan earthquake and tsunami in 2011. Their hope was to use the beauty of nature and the seasons of these Edo Period paintings to lift the spirits of Japan’s citizens and encourage them to never give up during the difficult time of rebuilding. With 2015 marking the 70th anniversary of the end of World War II, Joe and Etsuko Price will once again use the exhibition as a message of hope and peace through the exquisite paintings. The exhibition will include Sakai Hoitsu’s The Thirty-six Immortal Poets with Flowering Plants. Hoitsu was a talented painter and practitioner of calligraphy, and this particular piece showcases his stunning decorative paintings of birds and flowers, as well as classical Japanese literature with his beautiful calligraphy. OPENING RECEPTION: Sunday, July 5, 2015 1-3PM. The artists will be here for the reception and will give lecture & demonstration on the art of Nihonga painting. Nihonga is a style of painting created in accordance with traditional Japanese artistic conventions, techniques and materials. The term Nihonga was coined in the Meiji period of the Imperial Japan, to distinguish its style from oil paintings. New works from Nihonga-in will showcase in the George J. Doizaki Gallery at the DownTown Little Tokyo. Ikenobo School of Ikebana L.A. Chapter create new forms of art, combining the flower and symbols of nature with sentiments of the artist. Join us for an exhibition of photographs from David Heath. Traveling by canoe, plane, boat, train, on foot and hitching a ride on the occasional dump truck, photographer Heath crossed some of Myanmar's most remote terrain to capture the unique images found in the pages of his book, Burma: An Enchanted Spirit. “I aspired to convey the soul of the beautiful Burmese people, their mystical culture and mysterious customs, in the most artistic way possible”. The book notably includes a handwritten endorsement by 1991 Nobel Peace Prize Laureate, Aung San Suu Kyi, Chairperson of the National League for Democracy: "Truly an enchanting book - the pictures reflect the beauty and diversity of Burma faithfully." Asia Society Southern California is excited to showcase Health's unique images during this eight day exhibition. The Ohara School of Ikebana presents a display of Japanese flower arrangements featuring the splendid flowers of Spring. Beikoku Shodo Kenkyu-kai, an art of calligraphy, led by Hiroko Ikuta. Showcasing new works from next generation students, the exhibition reflects interpretations of calligraphy with flow of the brush and ink. Every January Little Tokyo becomes the center for celebrating the Japanese New Year in Southern Califronia, with the JACCC heading up the festivities with programs that invigorate the spirit and imagination. In celebration of the New Year, the JACCC distributes shikishi to members of the community to participate in a very unique exhibition, expressing hope for the New Year or a variation on the theme of Hatsu-Yuki (First Snow). Shikishi paperboards have been used in Japan since the 12th Century for painting and writing poetry. Today inscribed shikishi are given as a gift to mark a memorable occasion. 2,000 years ago, Amaterasu, the deity of the sun, chose this sacred ground as her home and a great establishment for worship was erected. Over 1,500 ceremonies take place here every year to offer prayers to the well being of the nation of Japan and her people. All of the food offered during these ceremonies, from the rice and vegetables to the salt, are produced in Ise and carefully prepared by hand to place before a higher power. It is a timeless place, ceremonially rebuilt every 20 years using methods preserved since antiquity. This tradition of ceaseless renewal has continued for 1,300 years and endures to this day. Born in Mie, Japan. Representative works include "100 artist in their atelier, 100", photographs of the art masters of the later 20th century and their studios, including Joan Miro, Marc Chagall, Salvador Dali, and de Chirico, and photographing European and American mystery writers such as Ed McBain, Graham Greene, Frederick Forsyth and Michael Crichton in their study. Photography permission was allowed for the first time to a non-French foreigner during "Chateau de Versailles", which photographed all aspects of the world heritage Versailles Palace. For the past few years, he has been engaged with [The 62nd Shinto-shrine transfer of the deity]. Presented by The Venice Japanese Community Center. "Way of Ink and Brush"
Viewing Los Angeles as a centrifugal force in the heartland where arts, commerce, culture, language and people thrives. The city of Los Angeles is a destination along the contemporary Silk Road, a road that has been never ended, but has continued from Marco Polo’s original route-Punjab to Seville, Chan-an to Nara, and now to Los Angeles. The route of commerce, language and art intermingles as they journey down this path. Sharing the common thread of Islamic art, Buddhist art, and Christian art , the calligraphers work becomes enhanced by simultaneously finding and embracing multiple disciplines. Their vision will connect in a seamless continuum, blurring the intersection of duality between tradition and modernity. This is exhibit is presented in conjunction with the LA/Islam Arts Initiative.